Searching for Spanish perfumes I came across the Spanish perfume house Ramon Monegal. Ramon Monegal is the perfumer of Ramon Monegal perfumes. He is fourth generation of the family that founded the company Myrurgia in 1919. Myrurgia is best known for its old fashioned Maja soap with the Spanish dancing lady and perfumes like Alada. After years of working for other famous designer brands like Adolfo Dominquez and Massimo Dutti, Ramon Monegal makes his perfumes since 2009 in artistic freedom. This has always been his dream. He wrote an interesting fictional novel this year called La Perfumista. Fortunately I was able to smell most of the collection of the 16 Ramon Monegal (RM) fragrances. Three perfumes are only available in their beautiful luxury store in Barcelona. The line includes leathers, roses, vetiver, patchouli, iris, ambers, musks, woods, tuberose and a light orange flower. It is a very wide range. As if Ramon Monegal sampled ideas for his perfumes for years in his Moleskine booklet and took them out some years ago to develop for his own perfume house. Personally I prefer his oriental perfumes like Ambra di Luna, Mon Patchouly and Cuirelle. The white floral Cotton Musk got my attention as well. Ramon Monegals perfumes are developed in a classic artisanal masculine way. My personal impression is that the perfumer Ramon Monegal knows very well what he is doing and how to make perfumes. 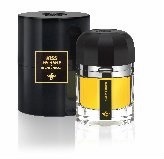 When I smelled Ambra di Luna I was reminded a bit of the classic Guerlain perfumes Mitsouko and Shalimar. It is as if Ramon Monegal made it winking to both the ladies Mitsouko and Shalimar adding some honey smoothness. Other Ramon Monegal perfumes gave me this classic and smooth feeling as well. His perfumes might appeal both to men and women over forty who prefer more classical artisanal well made perfumes. I can even imagine the former Spanish King Juan Carlos or Queen Sofia wearing his perfumes. Especially Entre los Naranjos (between the orange trees) might be an excellent eau de toilette for former King Juan Carlos, very Spanish, spicy and strong, like a strong cologne. My father really liked Entre los Naranjos. Some of the Ramon Monegal perfume names are surprising as they are a bit different than their name might suggest like their Cuirelle. Personally I am not a fan of leather perfumes and I was put off a bit by the perfume Cuirelle, because of its name. But when I tested the perfume I was a totally surprised. This was not a leather perfume but a very smooth soft oriental perfume. The official Ramon Monegal website says that it is not a leather perfume but an interpretation of it with cat like flexibility. Ramon Monegal made Cuirelle and Mon Cuir because of his love of the real leather. Personally I do not smell the leather note but it reminded me more of liquid caramel. It reminded me especially of the perfume Musc by Mona di Orio . Mona di Orio´s Musc is not the typical musc perfume as you would expect but a much more accessible musc perfume as Cuirelle is a more accessible leather perfume. Cuirelle is now one of my favorites of Ramon Monegal and my first ‘leather’ perfume. I enjoy wearing it especially when it is a rainy cold day. It is like putting on a nice smooth leather coat on your shoulders. Try Ramon Monegal when you prefer perfume houses like Mona di Orio, Ormonde Jayne, Teo Cabanel or the classic Guerlain perfumes. If you are more into modern perfumes and modern perfumers this might not be something for you although it certainly is worth a try. 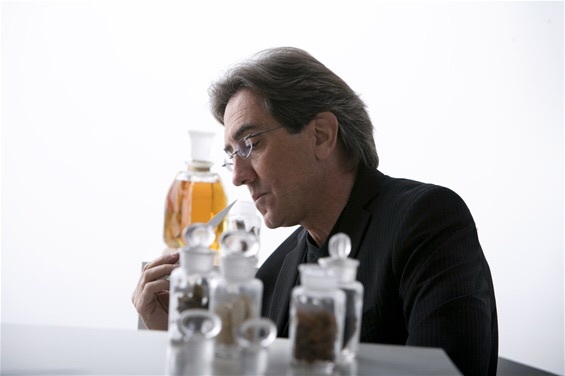 I like the fact that Ramon Monegal is a Spanish perfumer and his Spanish heritage is noticeable in his perfumes. This makes his fragrances special compared to other perfume houses. Have you tried a Ramon Monegal fragrance ? If so which one ? Or which one would you like to try ? Notes: Somali incense, Indonesian Patchouli, Vetiver Bourbon, Green Cedar Wood, Cinnamon, Extract of beeswax. Photographs : courtesy of Ramon Monegal projects, www.ramonmonegal.com. Love to wear Cuirelle with colder weather as Well, Asali. Ambra di Luna is wonderful, one of his best in my opinion, especially if you like classic perfume. I think you Will like it as Well ! Cuirelle is one of a few RM’s perfumes that I liked. I need to re-visit it and see if I want to get a decant for this Fall. You should revisit, Undina ! It is a fragrance very suited for autumn.